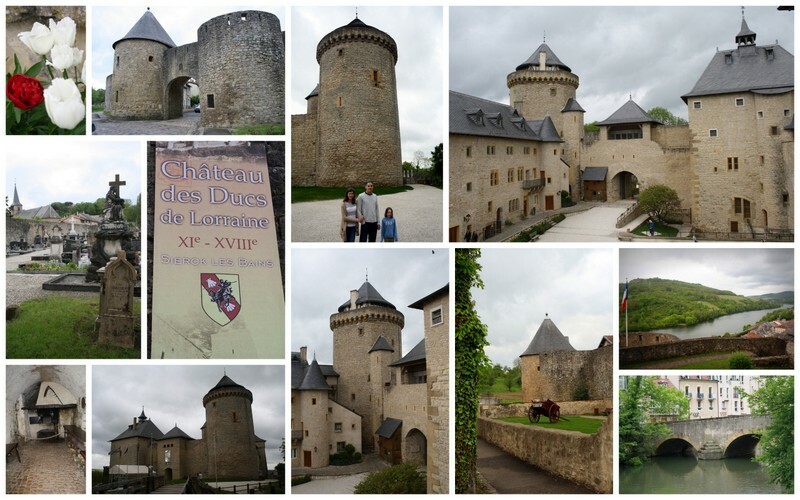 After spending half a day in Metz, we drove into the countryside to visit two Chateaus only 15 minutes apart from one another; Chateau des Ducs de Lorraine and Chateau de Malbrouck. Sharing a border with Germany and Luxembourg, his region of France is quite unique. We passed through villages that looked like movie sets with their stone towers and walled in court yards. Tip: Chateau des Ducs is an empty shell so there isn't much to see and there is little English description. Parking is down below next to the TI, so you must walk up the hill to the Chateau. My children were not thrilled about an upward walk, even if it was a short one. The view of the river and valley below are very pretty, but I wouldn't say this is a must see. Tip: Definitely more interesting than our first stop, Malbrouck has been recently renovated and feels more like a museum with interactive displays and a set direction for seeing the Chateau. Parking is close and there is a cafe onsite. If you only have time for one, I'd choose Malbrouck over des Ducs.